I have been eagerly looking forward to this book, as have a lot of people, ever since it first appeared on the horizon over three years ago. Originally slated for release in November 2008, it suddenly vanished off the radar as quickly as it had appeared, with no explanation whatsoever from the publisher. Having finally received a copy of this book before Christmas, all I can say is that it is a pity it didn’t remain in the wilderness for good. In short this book is an utter disgrace. I cannot fathom what Jann Wenner was thinking when he decided to publish this book. You might of course be wondering why on earth I would have this opinion? This is of course perfectly reasonable, given Hunter’s long and illustrious history with Rolling Stone, the publication in which his greatest work appeared. Yet reason had little to do with this latest offering. 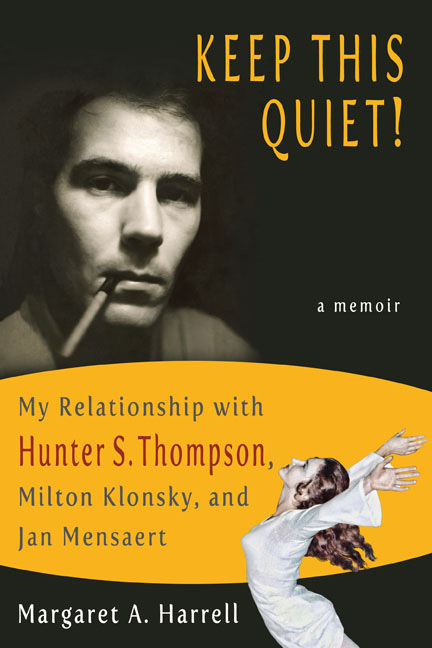 In what can only be described as a decision of breathtaking arrogance, Jann Wenner, with the help of Paul Scanlon, decided to severely edit Hunter’s original prose. I am not just talking about taking excerpts from the original articles – that might actually have been a sensible move considering the length of some of his work. Instead however, what is contained in the pages of this collection can only be described as a kind of horrific experiment gone wrong, FrankenGonzo if you like, starring Jann Wenner as the crazed creator holed away in a workshop of filthy creation. The result of his efforts of course is a creature of monstrous ugliness. It is hard not to form this impression when you see the heavy handed dissection of Hunter’s work. The original flow of his writing is all but destroyed, with paragraph after paragraph hacked away in favour of this new re-imagined beast. Take Strange Rumblings in Aztlan for example, the entire first page or so has vanished in favour of an opening line that comes from the middle of a paragraph on the second page of the original article. Actually, what Wenner does here is to combine two of Hunter’s sentences into a shorter opening statement. So basically the first sentence you read never even really existed in that form. Of course, Wenner might point to a letter from Hunter, dated February 10th 1971, in which Hunter questions the editing of the piece and admits that the chronology is scrambled. However, there is nothing that justifies the crazed butchery that takes place with the remainder of the material in this book. As for Fear and Loathing at the Super Bowl it is so heavily edited the only explanation I can think of is that Wenner turned the article over to a bunch of giddy interns who had just discovered the delete button. It is utterly unrecognizable. To make matters worse, Jann Wenner’s feeble attempt to explain away this thoroughly misguided quackery is nothing short of an insult to Hunter’s loyal readers. Let is all take a moment to bow down to this genius revelation courtesy of Jann Wenner. Where would we be without the blessing of his visionary insight into Hunter’s life and work? I for one am thankful that he could spare a minute to take Hunter’s work and “edit it properly”, and yes I mean a minute. There is no other way that you could explain this drivel. Ok in closing all I will say is this. 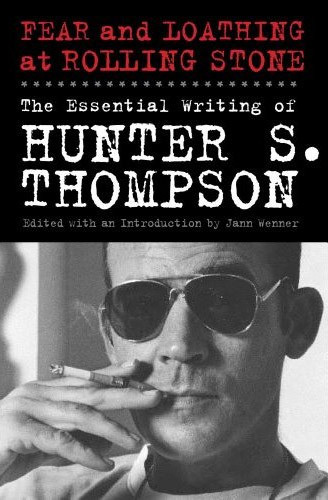 Don’t waste your hard earned money on this book, if you want to read the essential Hunter S. Thompson, then pick up The Gonzo Papers Anthology or The Great Shark Hunt. At least you will have Hunter’s original work, unblemished as he intended.